Unlike those other earbuds, which are merely posing as wireless, but still have a wire between them (I am looking at you JayBird BlueBuds X), Earin are true to their name. 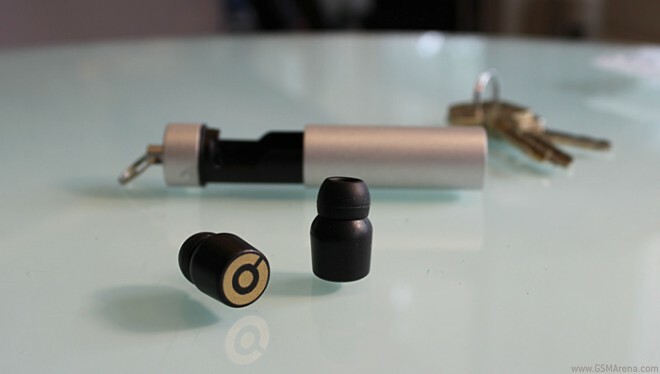 The Earin use two separate Bluetooth enabled buds with independent batteries and AptX support for superior stereo quality that can hold a charge for three hours of listening. And if you’re worried that three hours isn’t enough (which you should be) Earin offers a small tube that both houses the earbuds and can charge them, while they sit in your pocket. If you’re interested in buying the Earin, you can go check out their Kickstarter page and help the project get to the manufacturing stage. Currently, Earin needs £179,000 in order to progress and with 37 days to go, it has already accumulated £138,068. The minimum pledge is £1 but if you go in with £99, should the project get to fruition, you could get an Earin set from the first batch in January 2015.